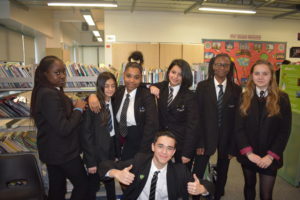 Language Leaders has launched in Co-op Academy North Manchester and has been a wonderful success. A large number of our Year 10 and 11’s have taken part with enthusiastic, caring and helpful attitudes towards their fellow students. 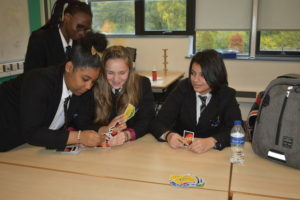 Meeting every lunch time at our EAL reading club, our Language Leaders are supporting fellow students by helping them to develop their English through a range of fun and effective activities. Our staff are very impressed and inspired by our students’ encouragement and support for their peers. 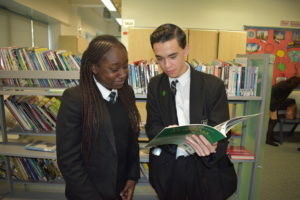 Florin in Year 11 has shone whilst helping a number of Romanian students who have since mentioned how much they enjoy reading with him. 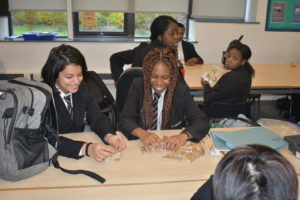 In addition to lunchtime activities, we have also been pairing EAL pupils with a ‘buddy’ who can help provide additional guidance in settling into school. We aim to make all pupils feel comfortable and happy and our Language Leaders have been highly professional in their introductions and help given to students most in need. It is wonderful to see such positive student leadership at school and strong demonstrations of our values in action.